In April 2019, Leuven is beer capital of ‘the old continent’ again with 3 beautiful festivals: Leuven Innovation Beer Festival (April 13/14), Food & Hops (April 19/20) and Zythos (April 27/28). 1. Download the app in the Apple Appstore / Android Playstore, if you have the legal age to drink alcohol. 2. 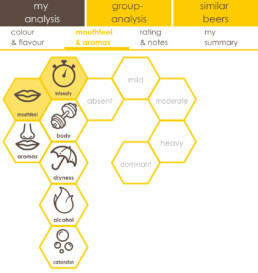 Enter min 5 complete analyses of festival beers. See further what is considered as ‘complete’. 3. The 3 tasters with the most (complete) analyses will be rewarded with an exclusive beer box. when do we consider an analysis 'complete' ? 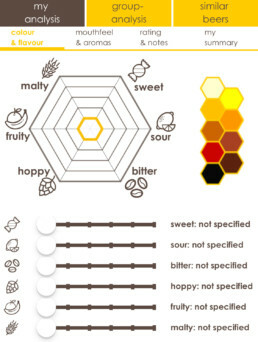 Check nr 1: you completed colour & all 6 flavour parameters (sweet, sour, bitter, hoppy, fruity, malty) of the festival beer. 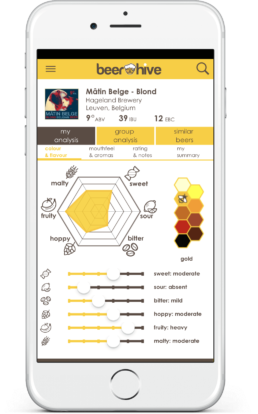 Check nr 2: you rated at least 1 of the 5 mouthfeel parameters (intensity, body, dryness, alcohol or carbonation). 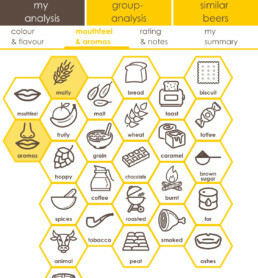 Check nr 3: you identified minimum 2 aromas in the several aroma categories.